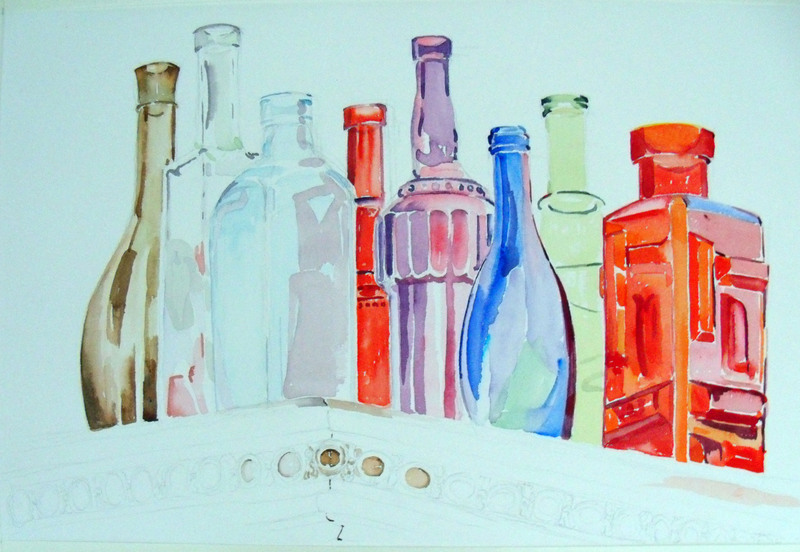 This is part of a series of twelve watercolors that I’m making in different parts of the house. Today they are on top of the closet. In the winter, the light changes quickly, so it took three days to finish it. 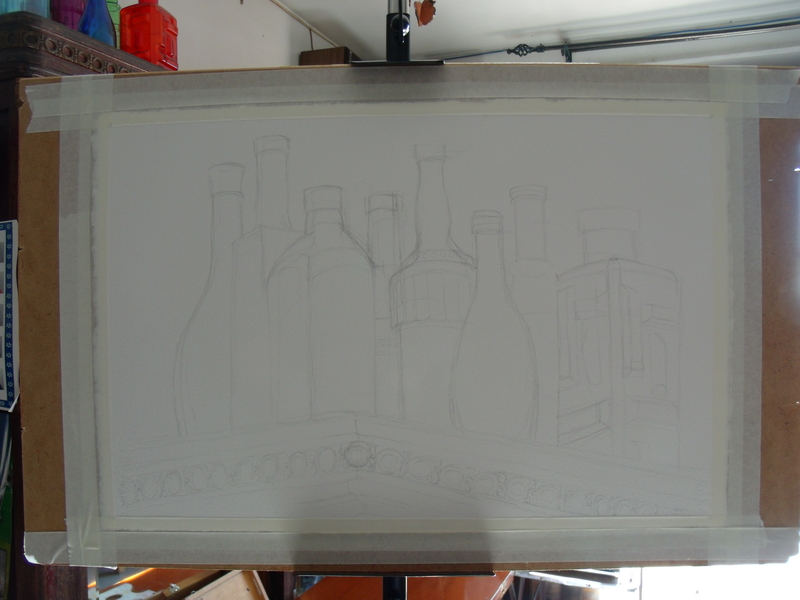 When I have the board on the easel, I check to make sure it’s level, I don’t want the vertical lines to slant. 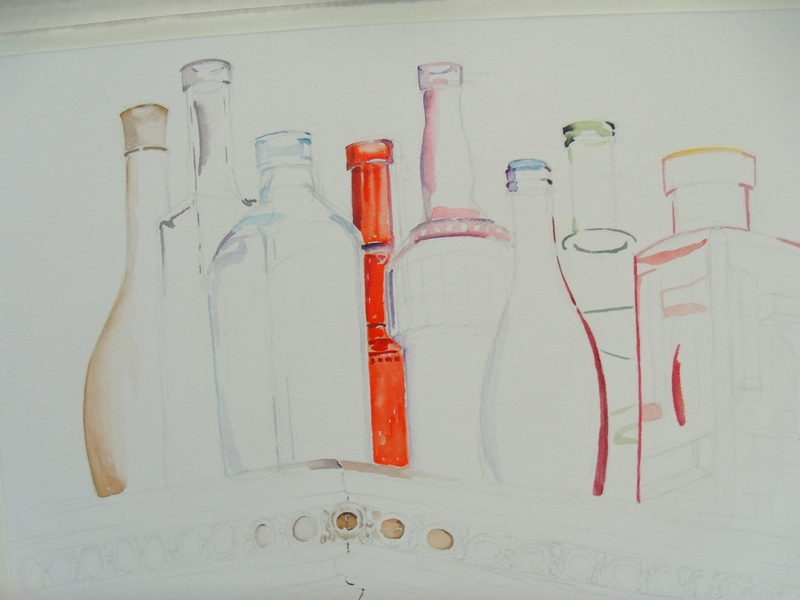 Today, I made a light drawing of the bottles. 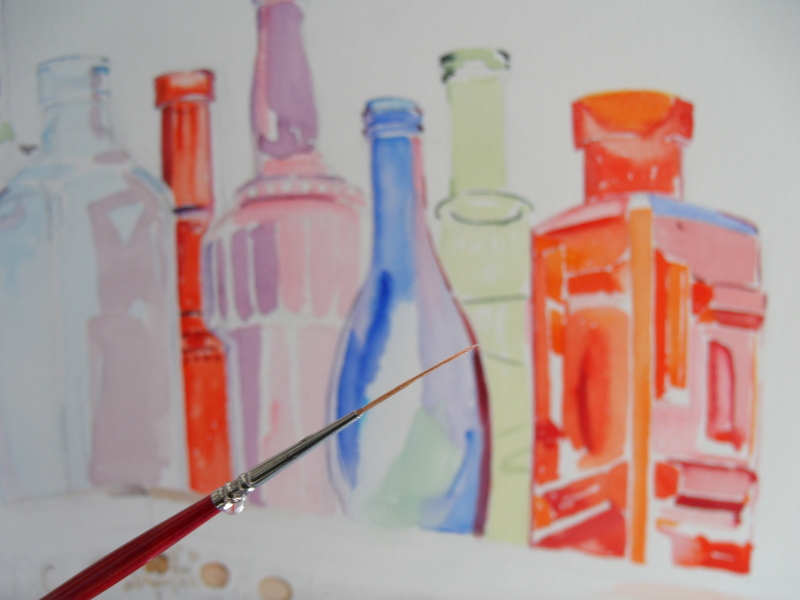 First I estimated where the tops of the bottles go to make sure they all fit. 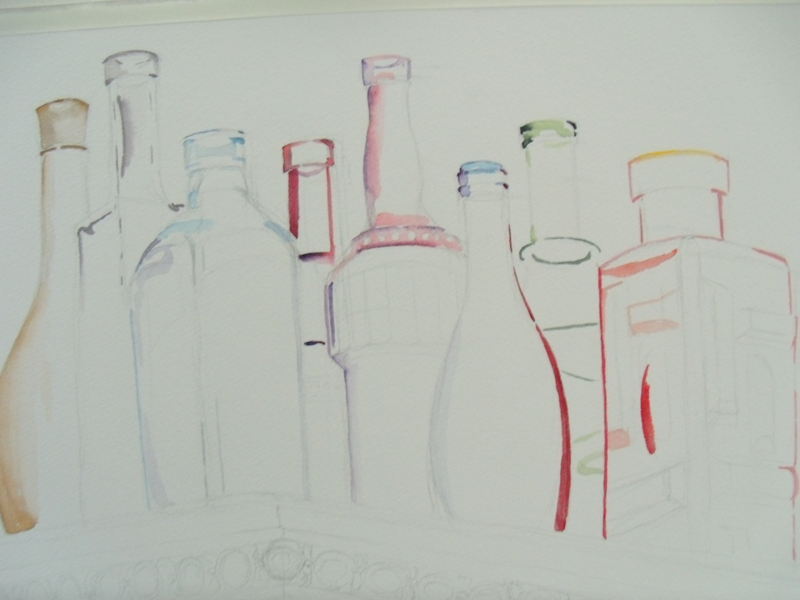 Then I developed one of the bottles more than the rest to use it as a measure; I used the bottle on the corner and built around that. 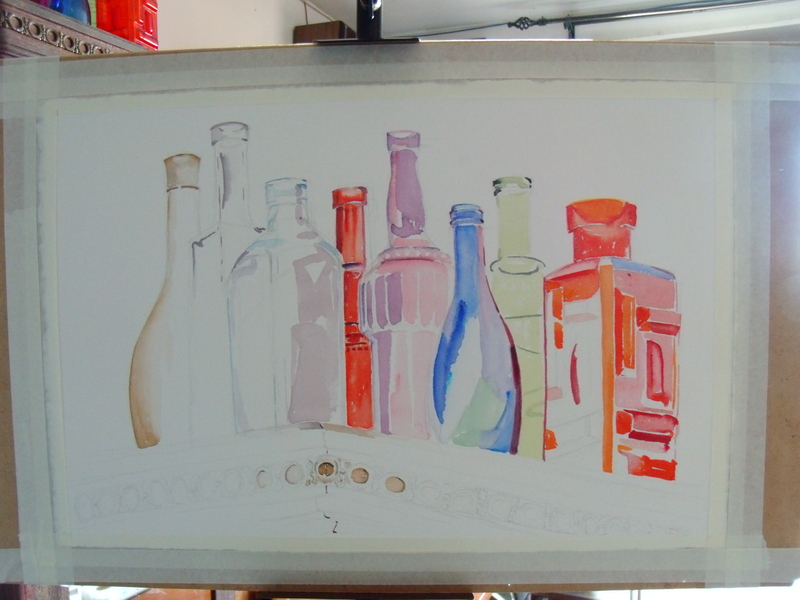 I followed the drawing with a watercolor outline, but only where I saw dark values. 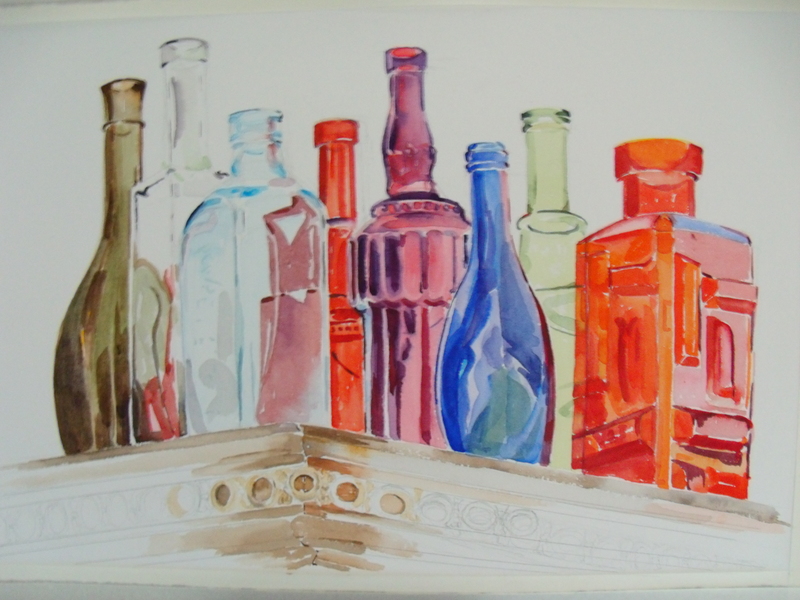 I started with the red bottle in the middle because I’m using this as a measure for the other values and colors. I start to build around this bottle. 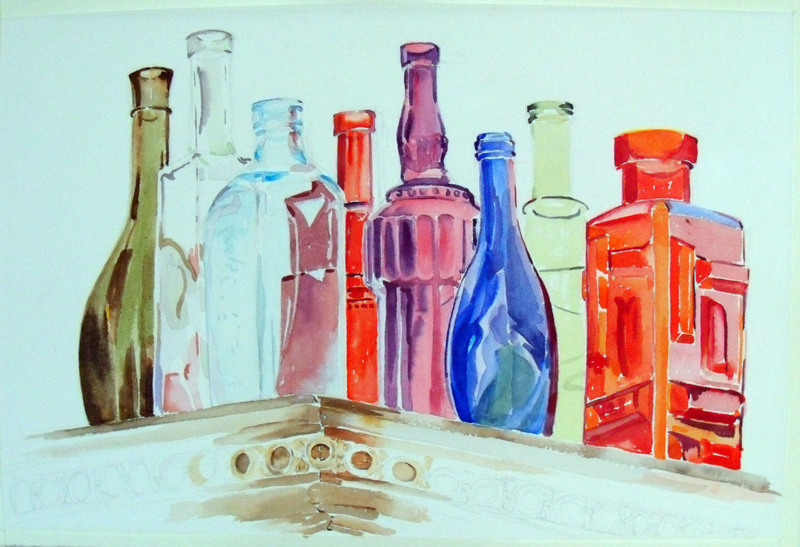 Working all around the bottles as well as the foreground. At the moment. I don’t need to work on the background because it’s almost white. I’m not finished yet. The light changed, so I had to stop. To make a fine line, this long hair brush is perfect. It’s for letter making. Here I’m looking at the colors and shapes. Trying to catch the reflections before the light changes. The light changed, so I have to stop til tomorrow. 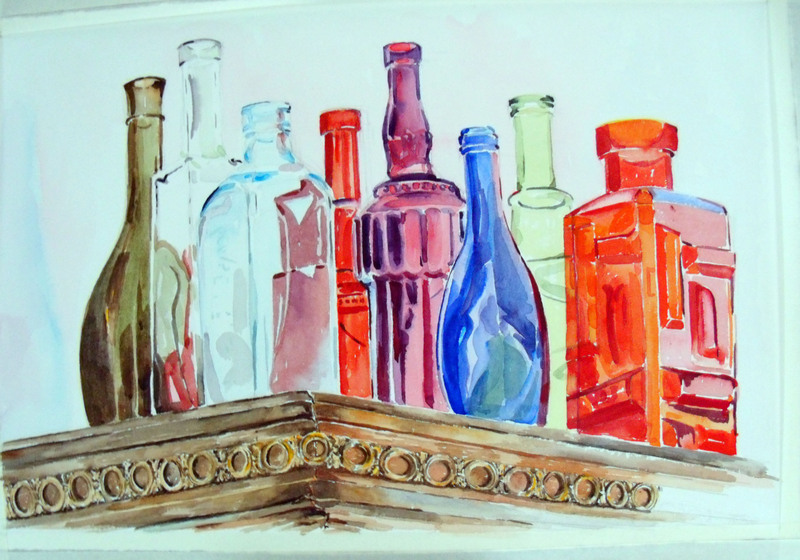 Last night,I noticed that one of the red bottle was not wide enough on the left side, so I made a correction. 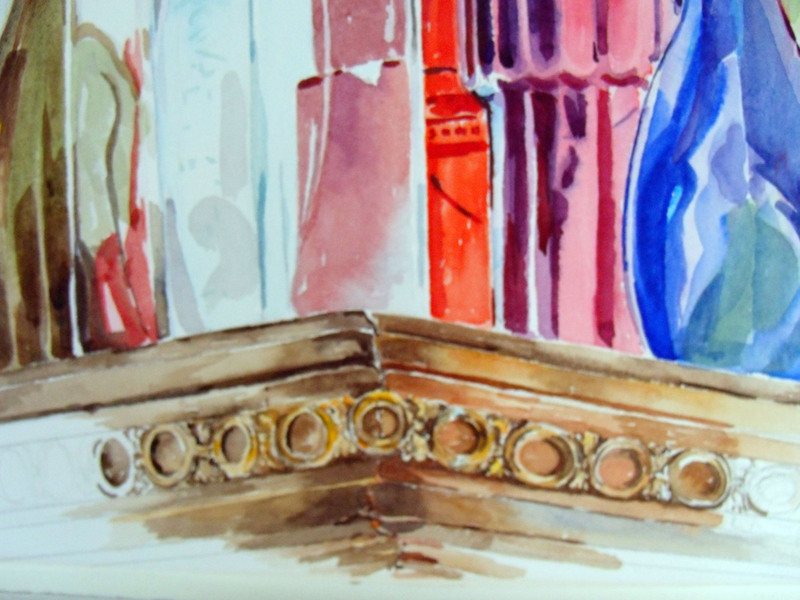 I started painting from the corner outwards to the edge of the paper. 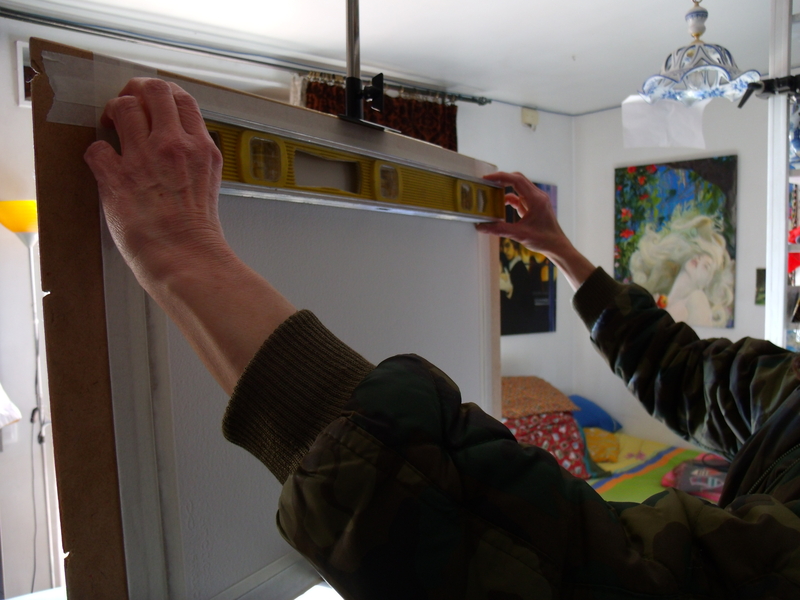 I continued to paint outwardly from the corner on both sides. 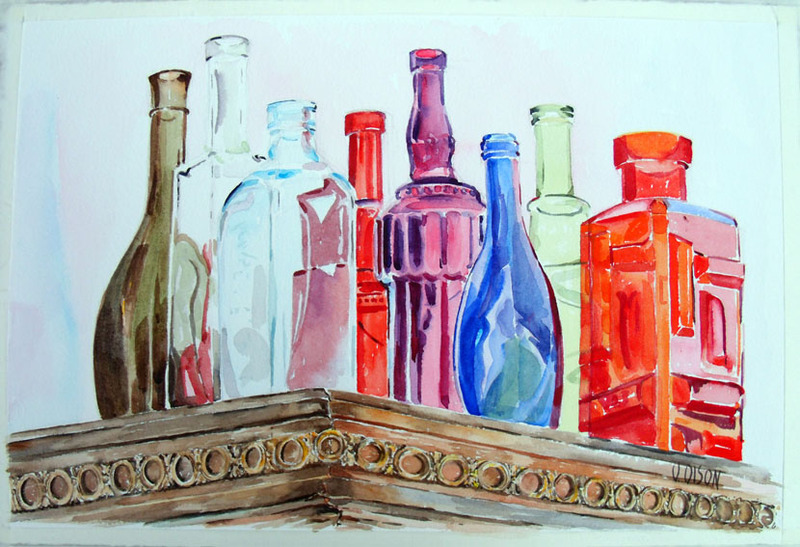 This entry was posted in The Watercolor Art Making Process, Watercolor in Process and tagged Glass Bottles, painting tips, watercolor, watercolor in process. Bookmark the permalink.